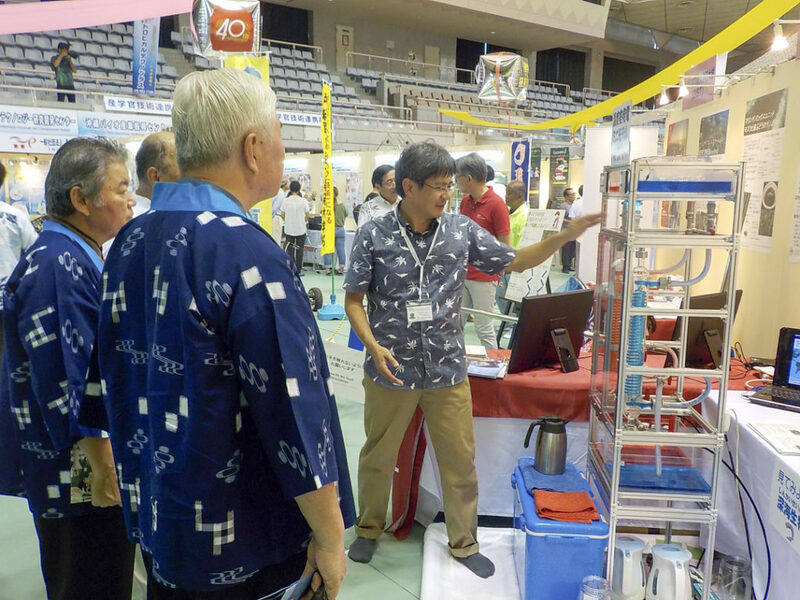 The 40th Okinawa Industry Festival Was held in Naha, Okinawa Prefecture on October 21 (Friday) to 23 (Sunday). 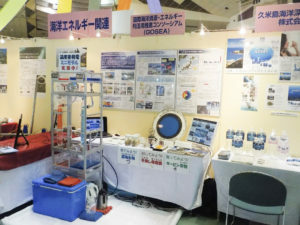 This year, a special exhibition, the “marine industry special exhibition” showcased marine industrial activities throughout Okinawa Prefecture, including a stand from GOSEA at which we introduced Deep Seawater Use, OTEC, and the “Kumejima Model.” Staged in the Budokan stadium, the full range of Okinawan industries were showcased. Marine industries were further highlighted through a quiz rally that encouraged visitors to seek out information at a variety of booths in order to complete a quiz sheet. 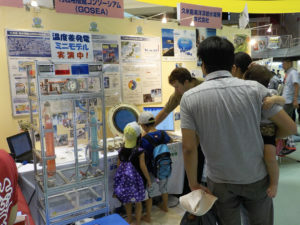 This event also marked the outside-Kumejima debut of our PICO OTEC model, a small scale OTEC demonstration unit that allows the general public to see inside the workings of an OTEC plant, including an operational turbine. The small model runs with the use of prepared hot and cold water. Don’t forget that the International Environmental Energy Symposium will be taking place soon. Click the picture below for more information.